News just in straight from Brian Mark Williams courtesy of his blog is that Lucius Hammer co creator and artist Christan James Colbert have split. The post is entitled “creative differences” so we’ll take that at face value. What does this mean? well for one we can look forward to or lament that the series may be off schedule and now will be illustrated by a new artist who will have literally HUGE shoes to fill. 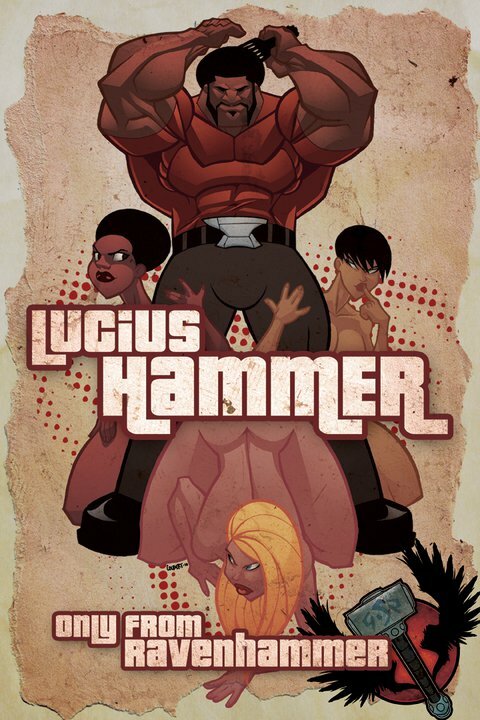 Issue #1 of Lucius Hammer was our favorite independent book of 2011 and the previews of Lucius Hammer #2 left us wanting more. Alas this is the way of the world no matter how we love an artist the show inevitably must go on. Good luck to Brian Mark Williams and Lucius Hammer in 2012! i’ve never seen ths character before, he sort of reminds me of luke cage. hopefully, hammer will become a smash in the near future..